Jasmine Garden is set with white tablecloths, an unexpectedly refined touch in a city where the best pho is typically found at hole-in-the-wall establishments. 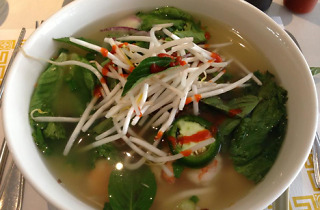 The pho here will please eaters of all types. 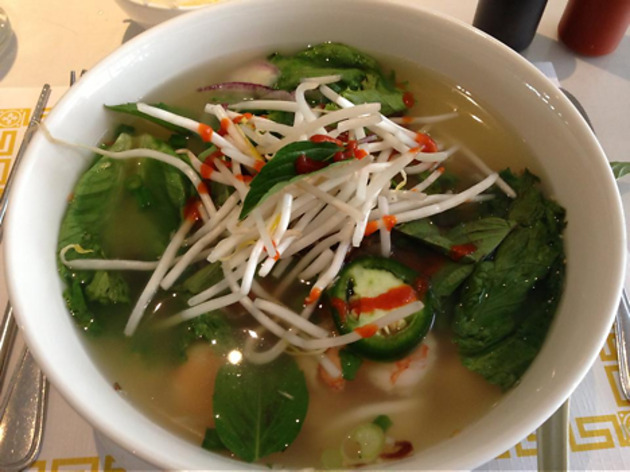 Traditionalists throng for the addictive lemongrass broth of the bun bo hue (a spicy beef pho from the Hue region of Vietnam), while vegetarians rejoice in a solid vegetable pho, heaped with bok choy, tofu, carrots, broccoli, and cilantro. The hearty soup is served at all hours of the day but only appears on the lunch menu. Be sure to ask for one if you can’t find it listed.